I am running for EWEB Commissioner AT-LARGE to bring the people's voice to Eugene. We do NOT want money wasted on Smart Meters and we want to get Fossil Free now. Please see here for details . I have been living in Eugene since 2015 in the South Hills area. I have been involved with computers since 1977 working as a developer, tech supporter, UNIX Administrator, and Network Administrator along with my current hobby assisting people in converting to Linux using recycled PC's if they do not already have a PC. I am now a certified Dharma Mittra Yoga Level I/II teacher . Please click the yoga link below for more information. Please Contact Victor by email using link below: Victor if you are interested in classes. My other interests are bicycling , yoga and working with an organization called "Partners for Health" to support rehabilitation of street children and women's health care in Nicaragua. 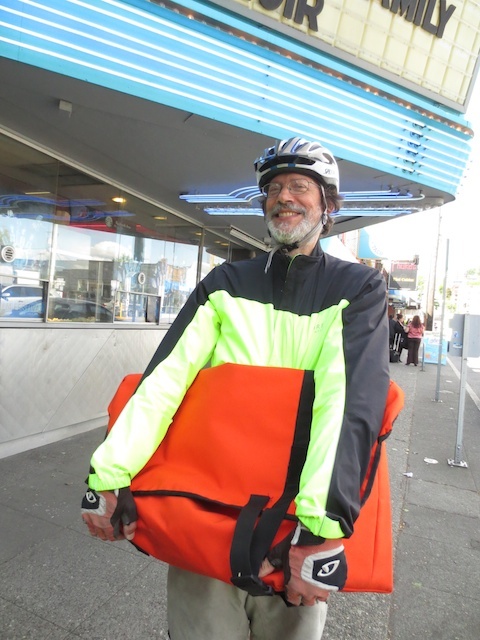 I am a member of the Seattle Bicycle Touring Club and Treasurer of Amigos de Si a La Vida . Remove yourself from Direct Mail Marketing via US Postal Service It took me a year of research but I finally found this thanks to help from the Wallingford Post Office and the customer service center for the USPS. On this web site you want to create an account and then click on Remove from List for all of them. It will also give you a website to get off the insurance and credit card propositions. You have to mail this form in, but it helps you print out the form and tells you where to send it. Eidem's Ulphostery These people (Brian and Howard) made an absolutely fabulous cargo bike bag for me with material from Velo Transit I highly recommend you use Eidem's and the folks at Velo Transit for normal size bike bags. 2020 Cycle A great shop for you central area and capitol hill people. They can do just about anything. They are very accomodating to us cargo cyclists. They have a really nice Japanese bell which I bought five of. You can actually tune it. Cascade Bicycle Club One of the oldest bike clubs in the country. 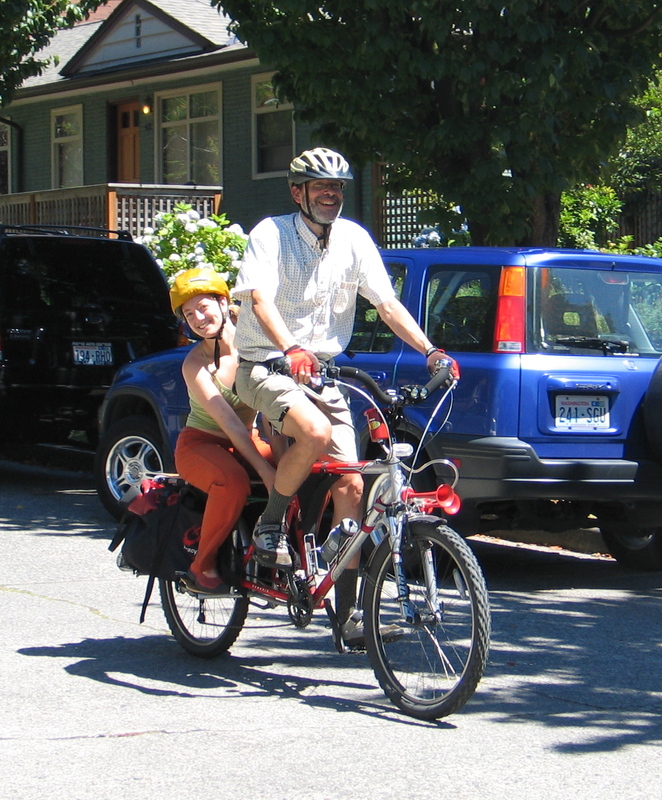 They have been working very hard here in the Pacific Northwest to make biking safer and educate drivers and bicycle vehiclists regarding appropriate cooperative/respectful behavior. They also put on some great rides and a Bike Expo every year. If you volunteer enough you can get the ride participation fee waived. Ride Bicycles A great bike shop right next to the Sunlight vegetarian cafe on Roosevelt Way. They do a great job on Cargo bikes too! Elliot Bay Cycle A great shop for you downtown folks. They gave me a really nice backwards rear deraileur and great service. It is a deraileur that defaults to the lowest gear in the unsprung position. So, if the cable breaks you can get home in your lowest gear. I love it. These guys are also master frame builders. Free Range Cycle A great shop in Fremont. 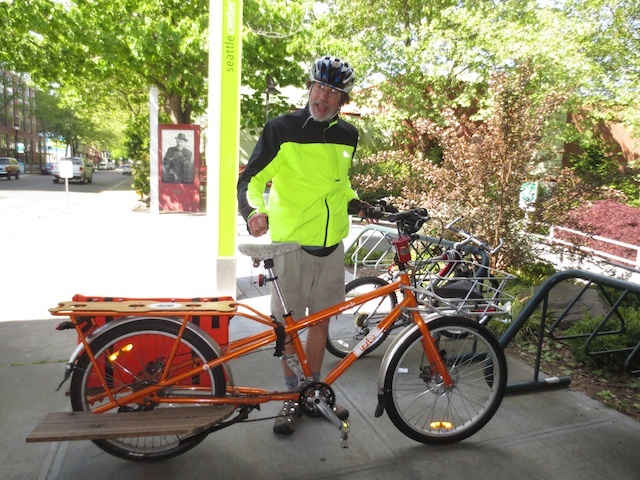 Here I bought my Xtracycle with the wide loader attachment. Recycled Cycles A great shop for getting those old hard to find items. They also take stuff on consignment and will do trades on bike purchases. You can bring them old parts and tools and they will be put to good use. I traded in my old Fat Chance bicycle towards building a new Soma Mountain Bike. They put it together beautifully and meticulously. They even saved my lights for me from the old bike to use on the new. These guys are great! Freelock Computing Open Source consulting in Seattle. Yogalife One of my favorite studios in Seattle. Yogiway Yogiway is no more, but Katerina Wen and her partner are teaching now in beautiful San Juan Island, well worth the trip! Samadhi Yoga For you capitol hill folks, this is a cool Vinyasa based studio with a strong emphasis on the spiritual teachings .